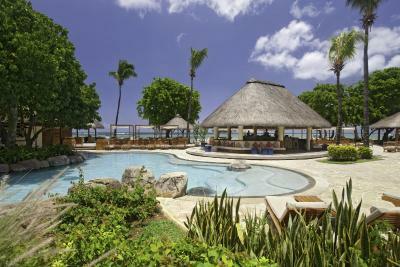 Lock in a great price for Hilton Mauritius Resort & Spa – rated 8.1 by recent guests! The breakfast was average when compared to the cost. It’s really bad hotel They charged me for services that I didn’t get like a doctor ! Overall is good ,, they never change the blanket. Also, it’s very expensive if you wanna order or eat in the hotel.. 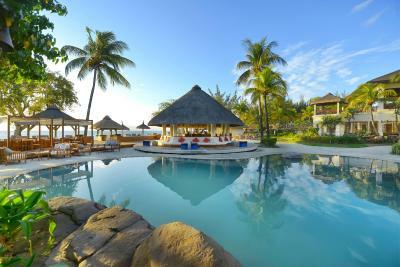 This place offers excellent accommodation and a lot of activities that compliment both young and old individuals. in addition, the food was excellent. 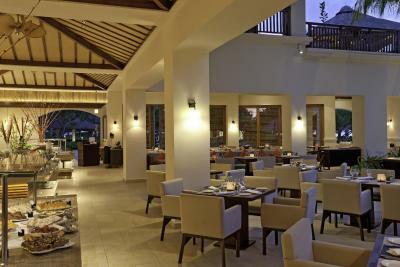 The staff was always at the disposal of the guests and ready to serve. 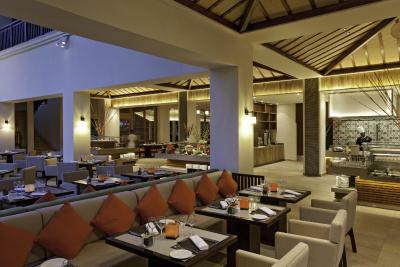 Because it is very beautiful resort and the food was excellent. The staff was excellent. 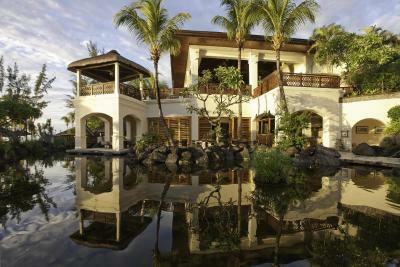 This is an amazing place to stay. The water sport activities are all free so you get your moneys worth in that regard. It is clean and the gardens are beautiful and peaceful. The non-front desk staff (especially activities and entertainment) are amazing and friendly and helpful. They had a nice evening programme with live band every night and a dance performance one night. 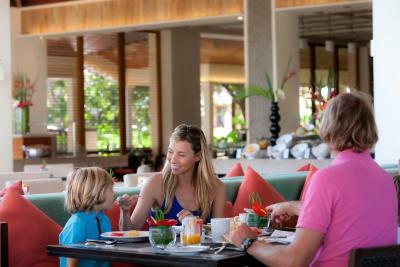 Good breakfast, nice and clean bathroom with water gun, water activity, calm. I visited the property with my sisters and we had a nice relaxing time The main pool was nice and even the weather was not that hot but they were heating the pool for us so we could swim. 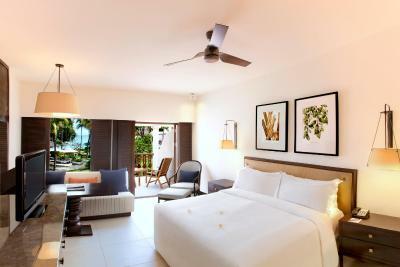 room was nice with a nice view of the main pool and the beach. A lot of Water activity were free We had a complementary tour to see the dolphins . Perfect place to stay if you are looking for relaxation. 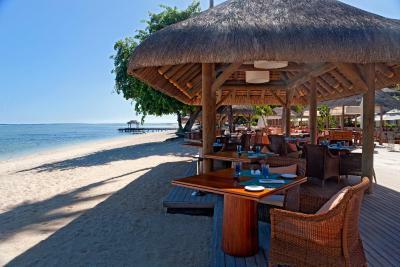 Hilton Mauritius Resort & Spa This rating is a reflection of how the property compares to the industry standard when it comes to price, facilities and services available. It's based on a self-evaluation by the property. Use this rating to help choose your stay! 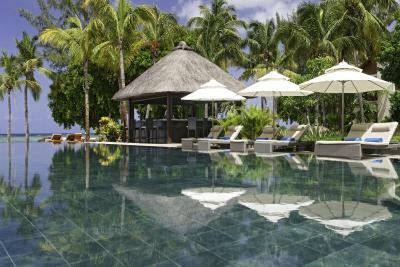 One of our top picks in Flic-en-Flac.This luxurious 5-star Hilton resort has a beachfront location 2.5 mi from Flic en Flac. 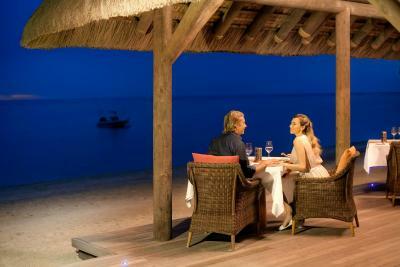 It offers on-site diving tuition, a choice of 3 restaurants and a lagoon-style swimming pool. 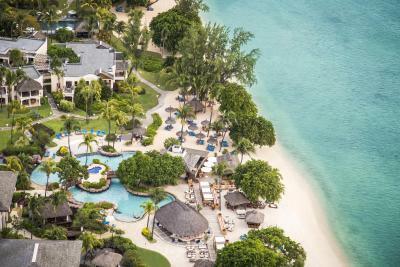 The guest rooms at Hilton Mauritius Resort & Spa are extremely spacious, and each has a luxury marble bathroom and a large terrace with views over the gardens or the Indian Ocean. 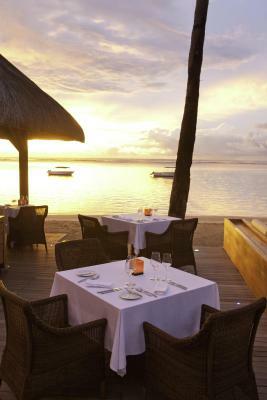 The Hilton Mauritius restaurant options include beachside dining, freshly caught seafood and Thai specialties. 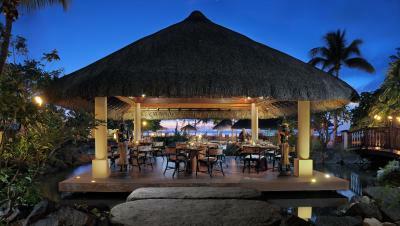 The Vista Bar serves local rum and enjoys sunset views. 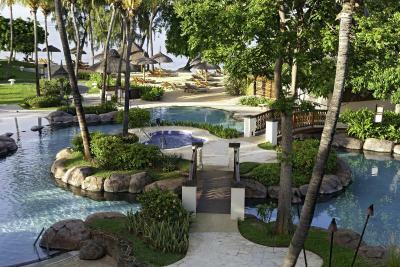 Spa facilities at Hilton Mauritius include massage therapies and relaxing saunas. 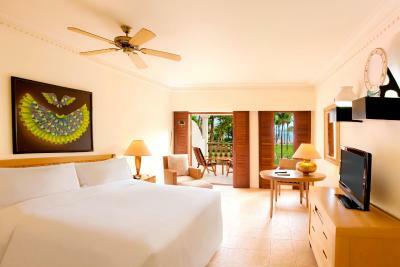 Recreational facilities include tennis courts, a water sports center and a golf putting green. 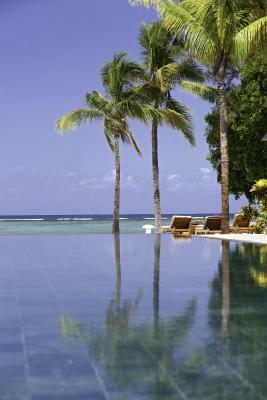 The highlight of the resort is its long stretch of white-sand beach where you can swim or learn water sports. 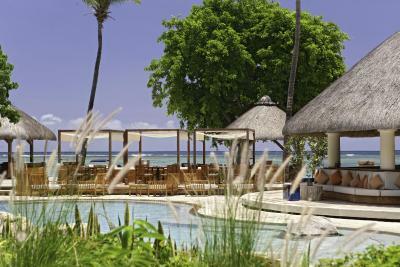 The Hilton Mauritius Resort & Spa is a 15-minute drive from Port Louis, the island’s capital. Sir Ramgoolam International Airport is about an hour away. 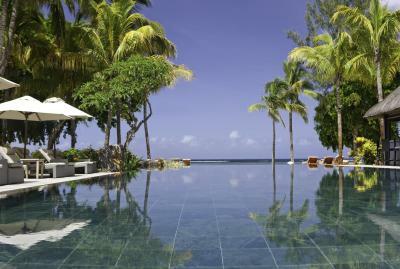 When would you like to stay at Hilton Mauritius Resort & Spa? 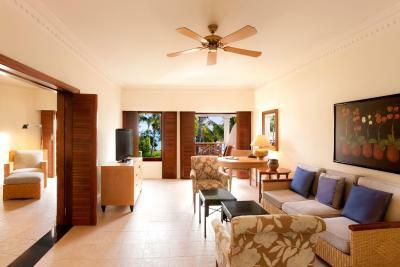 This large 1-bedroom suite includes a separate living room and a large balcony with ocean and garden views. 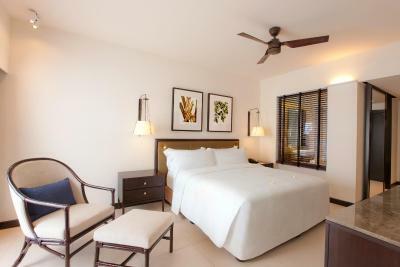 The spacious bedroom has a private bathroom with luxurios marble finishes. 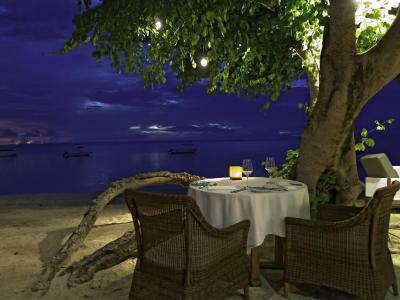 Set directly on the beach, on ground floor or first floor with a spacious and romantic setting. 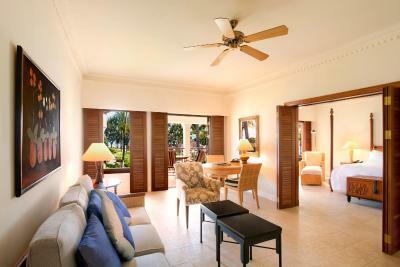 This large suite offers an open-plan sleeping and living area, a luxury marble bathroom plus a balcony with sea view. 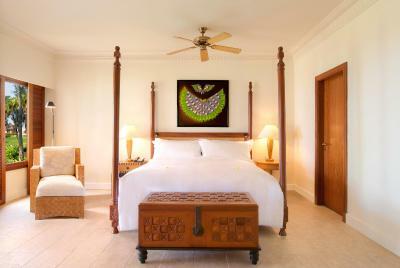 The private bathroom is fitted with a bath and shower and includes free toiletries, bathrobes, slippers and a hairdryer. 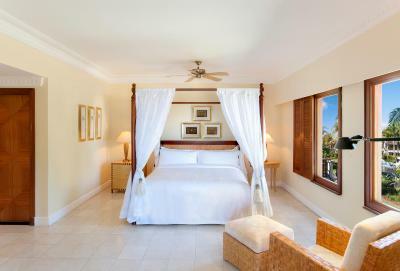 Featuring a separate living room and balcony with sea views, this well-appointed suite provides a direct view over the ocean from the comfort of the bed. 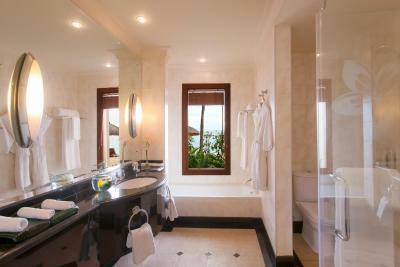 The private bathrooms are finished in luxurious marble and come with a hairdryer and shower. 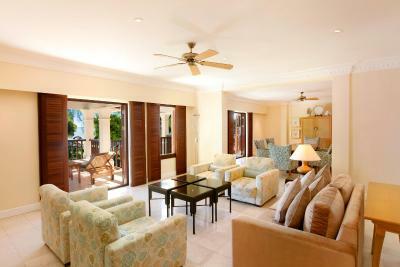 With direct beach access, this spacious suite offers a living area, dining area and sea view. 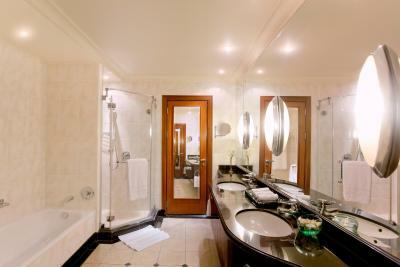 The luxury marble bathroom is fitted with a bath and shower and includes free toiletries, bathrobes, slippers and a hairdryer. 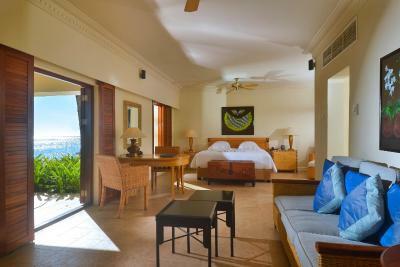 Decorated in Mauritian style, this spacious room features garden or sea view, a balcony or terrace. 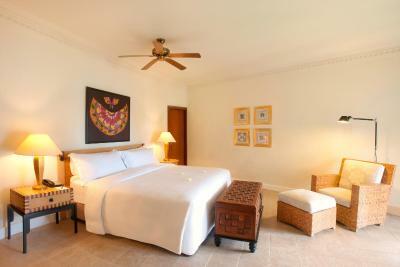 The room is equipped with a flat-screen TV and a marble bathroom with shower and bath. 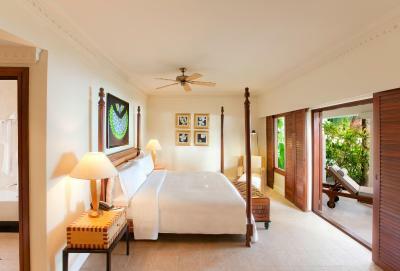 Decorated in Mauritian style, this spacious twin room features a balcony or terrace. 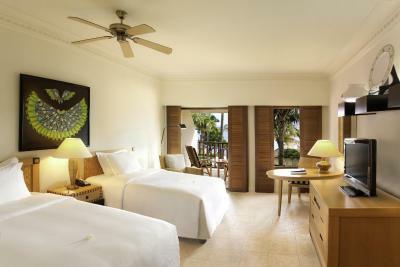 The room is equipped with a flat-screen TV and a marble bathroom with shower and bath. 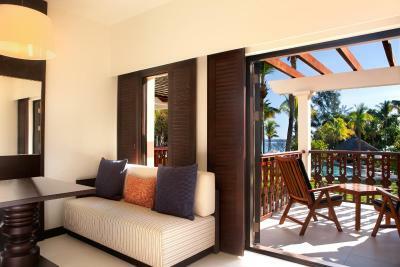 This spacious room features a balcony with sea view. 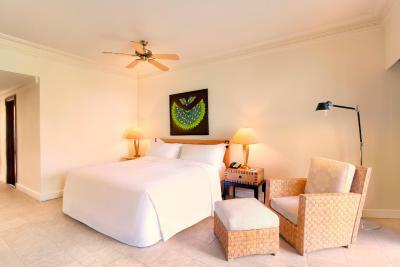 The air-conditioned room is equipped with a flat-screen TV and a marble bathroom with shower and bath. 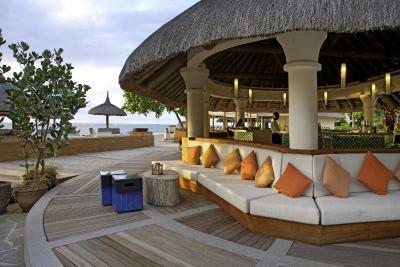 House Rules Hilton Mauritius Resort & Spa takes special requests – add in the next step! 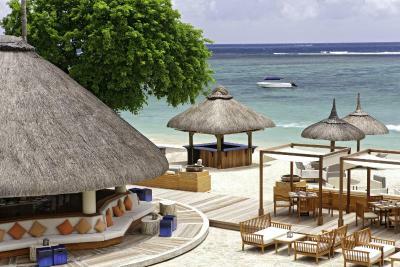 Hilton Mauritius Resort &amp; Spa accepts these cards and reserves the right to temporarily hold an amount prior to arrival. 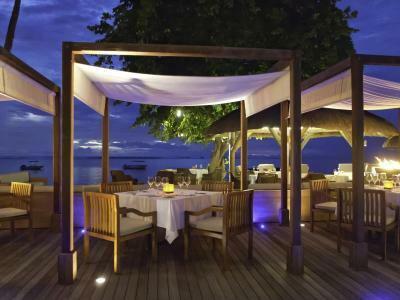 Hilton Mauritius Resort & Spa accepts these cards and reserves the right to temporarily hold an amount prior to arrival. Please note that the evening dress code is smart casual with long pants for gentlemen. -The mandatory Christmas Eve gala dinner on 24 December costs EUR 80 per adult; EUR 40 per child (4 to 12 years) sharing parents room and EUR 80 per child (4 to 12 years) in own room. -The mandatory New Year's Eve gala dinner on 31 December EUR 115 per adult; EUR 57 per child (4 to 12 years) sharing parents room and EUR 115 per child (4 to 12 years) in own room. The rule attached to the dressing for dinner. 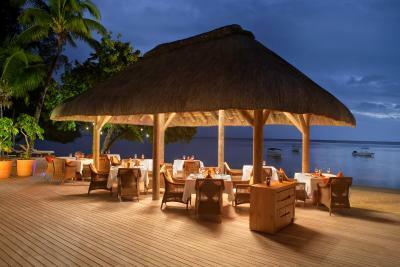 People should be able to go eat in what they feel most comfortable, most especially when on a vacation. My sheets were dirty and had not been changed from a previous tenet. I didn't initially catch this but when I woke the next morning there were blood stains where I had slept. Management did have housekeeping remedy this when brought to their attention. What I did not like was the extra bed i got for my kids. I can not accept that kind of bed from Hilton Hotel. appreciate a lot of swimming pool and garden . Our flight back from Mauritius was at 9.20 pm, so we asked for a late checkout at 4 pm. 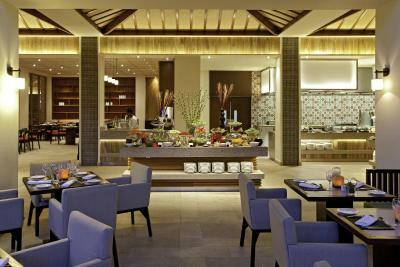 Most hotels like Taj, Oberoi or Hyatt, don't charge anything if they don't have a booking. However, this was the Hilton so they us charged for this. Location on the beach. Sun and luxuriant vegetation. Unfortunately the food wasn’t good. The Thai restaurant was over priced and the quality was less than average. Not much todo out side the hotel so was hoping for some traditional sega music or dance but it had nothing. No waiters approached use while sitting at the beach for drinks. Our stay at Hilton was comfortable and we were mostly pleased with the water activities especially seeing the dolphins was a highlight. All staff were hospitality. The prices of the drinks was exorbitant. Prices in the restaurant were equally over-priced and no amount of food or drink could justify these prices. We found this spoilt our time at the Hilton as we had to think about whether to buy a drink or not, which is definitely not how we want to think when on holiday. Water was only allowed at the poolside bar if further drinks were purchased. 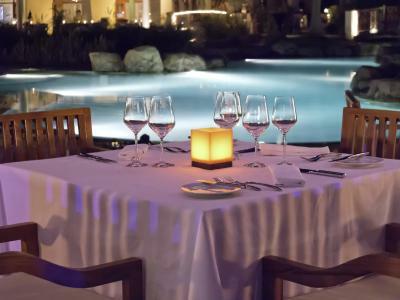 We only dined at the hotel one evening but would have loved to dine there more frequently, had the prices been reasonable. We have travelled far on business and on holiday but this was our most expensive trip to date which is a shame as left us disappointed. The breakfasts were excellent and cannot be faulted. The hotel was in a beautiful position overlooking the beach and we had a wonderfully quiet room very close to the beach and pool.